Marketing vs. Advertising: What's The Difference? Marketing vs. Advertising: What’s The Difference? Only too often, marketers and advertisers are used interchangeably. While the two career paths may share some similarities, they are not the same. 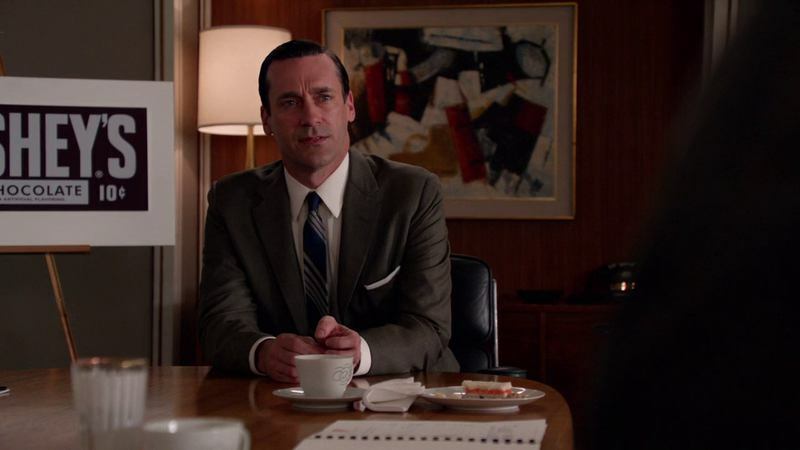 A well-known example of an advertiser is Don Draper of TV’s Mad Men, the dapper creative director of Sterling Cooper. Don demonstrates brilliance in pitching ads that tap into emotions and nostalgia. These tactics capture the attention of viewers and readers. The television series portrays the glamorous part of marketing involving the creative process of ad creation. Don pitching to Hershey’s with an emotional childhood story. Thus, the goal of advertisers is to create captivating advertisements that attract new clients in creative ways. Advertising promotes a persuasive message about an organization, product, or service. This includes all types of paid communication to existing and potential clients. Advertising focuses on one glamorous aspect of marketing – ads. Marketers, on the other hand, look at the nitty gritty and the big picture which includes the four pillars: product, placement, promotion and pricing. Marketers create and execute marketing plans that may include ad buys and advertising promotion, but they are more focused on results and numbers. Advertising is just one of the tools that marketers can use within a larger communications program. The larger marketing plan includes a mix of marketing activities from advertising to direct marketing, public relations, market research, and search engine optimization (SEO). Once marketers have implemented their communication plan, next comes the evaluation stage to track and measure results. Marketers focus on preserving and advancing the business relationship. This is why the evaluation stage plays a large role in their plan. Evaluation involves reporting quantitative results that show the profitability and effectiveness of the plan to clients. To summarize, marketing involves a big picture plan with marketing objectives and a communication plan. Advertising is one of the promotion tools that marketers can use to achieve communication objectives.